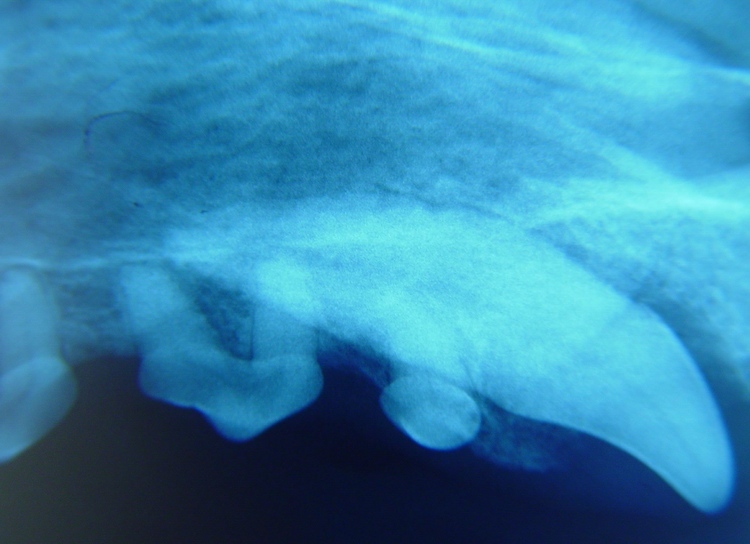 D ental implants are considered a viable treatment for tooth loss or missing teeth in our veterinary patients. 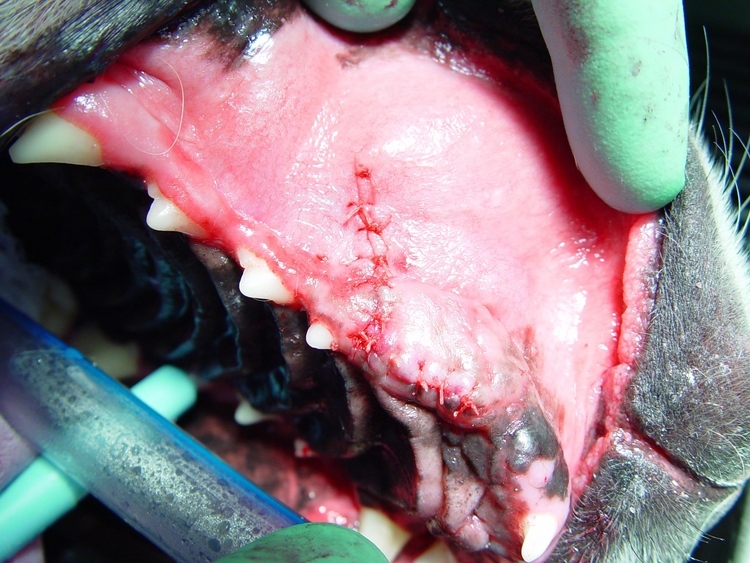 In most cases, the owners are not aware that the procedure can be done with success. 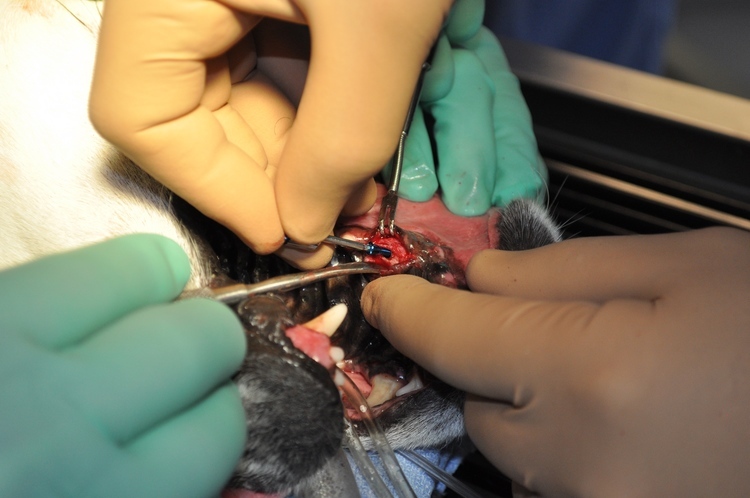 D ental implants have evolved in veterinary medicine from anchors used to position therapeutic appliances to single tooth replacement in many areas of the mouth. We provide custom and commercial implants depending on the available bone and space consideration in the mouth. 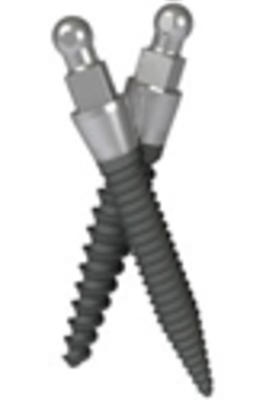 C ustom blade implants are designed from dental radiographs and models by Precision Ceramic Dental Labs. 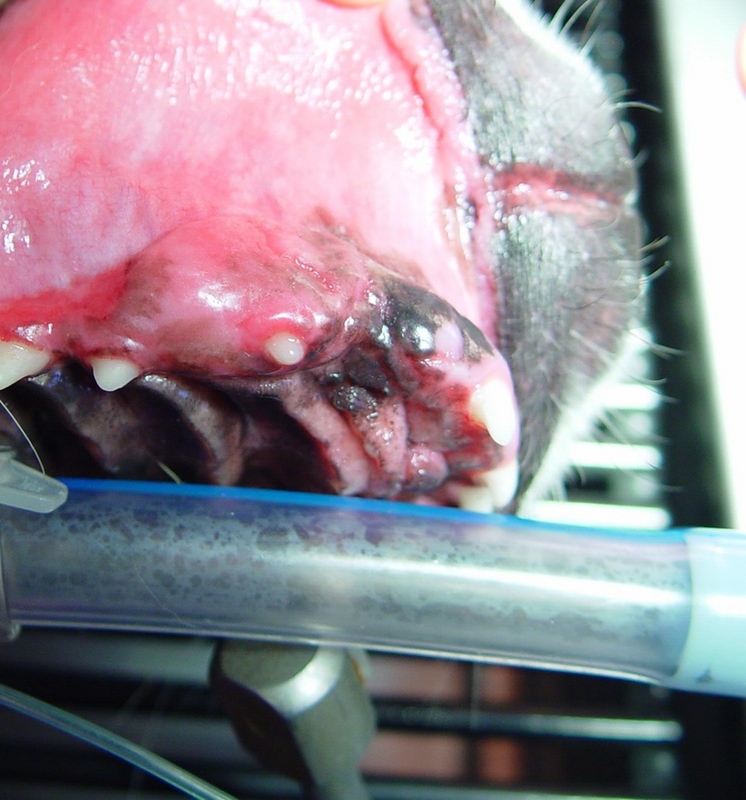 Dental films and surgical extraction successfully treated this painful and serious condition. 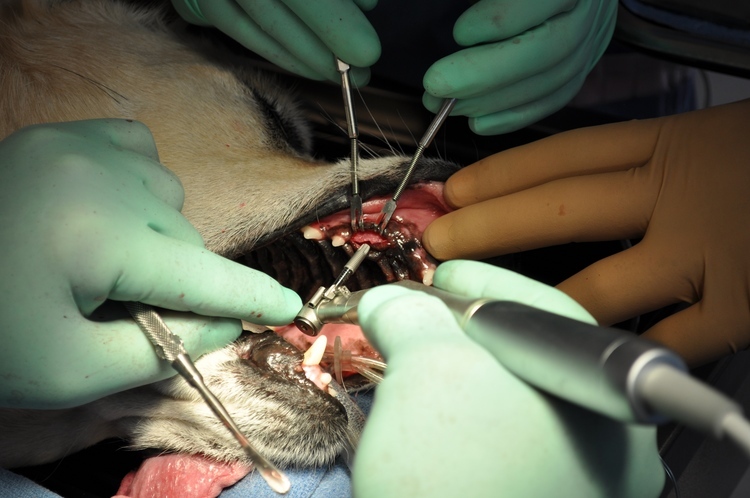 Years later, the owner returned with the possibility of implanting a new tooth. 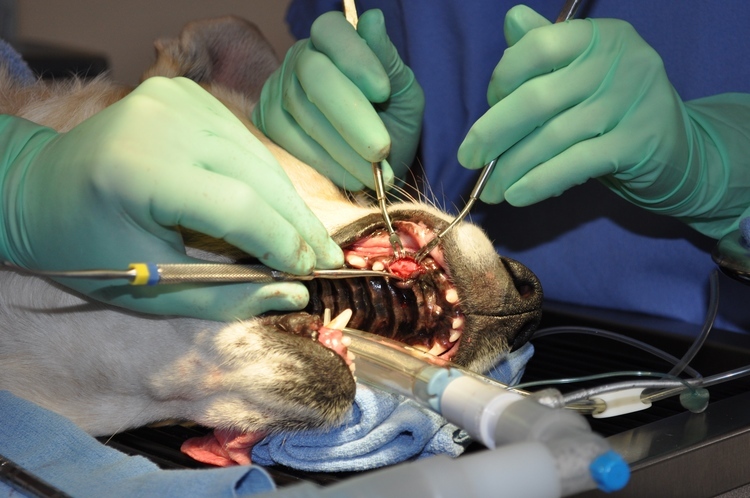 After some discussion concerning the pros and cons of implant dentistry, "Sadie" was scheduled for the 1st stage of a 3 stage surgical procedure. 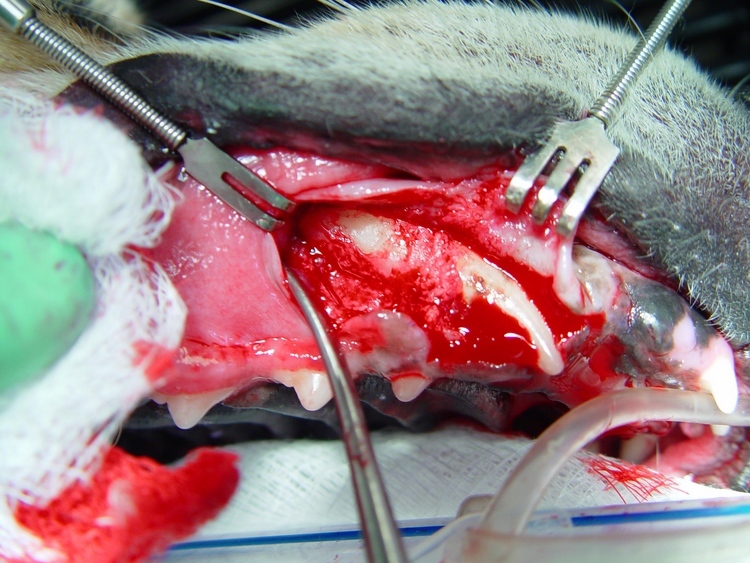 P re-surgical protocol was completed and a general anesthetic was administered in preparation for the initial stage. 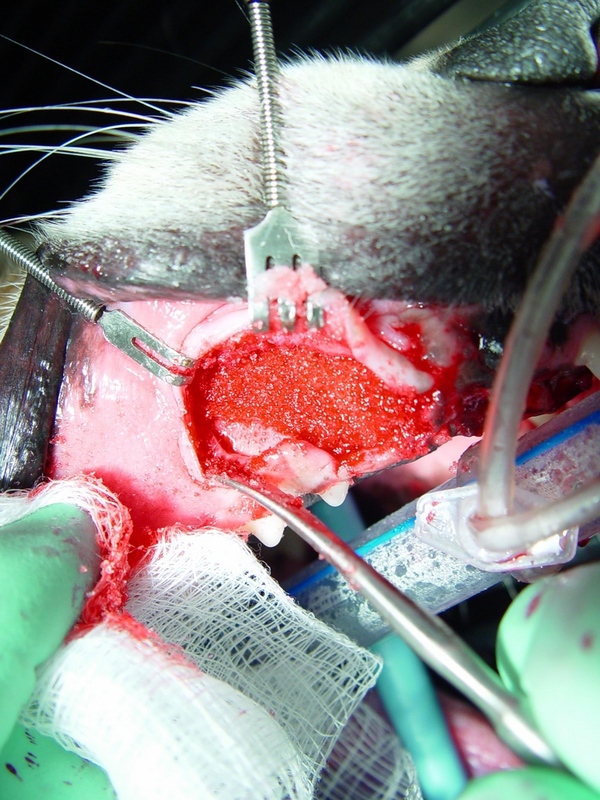 The 1st stage includes dental x-rays to evaluate the regenerated bone and space consideration. 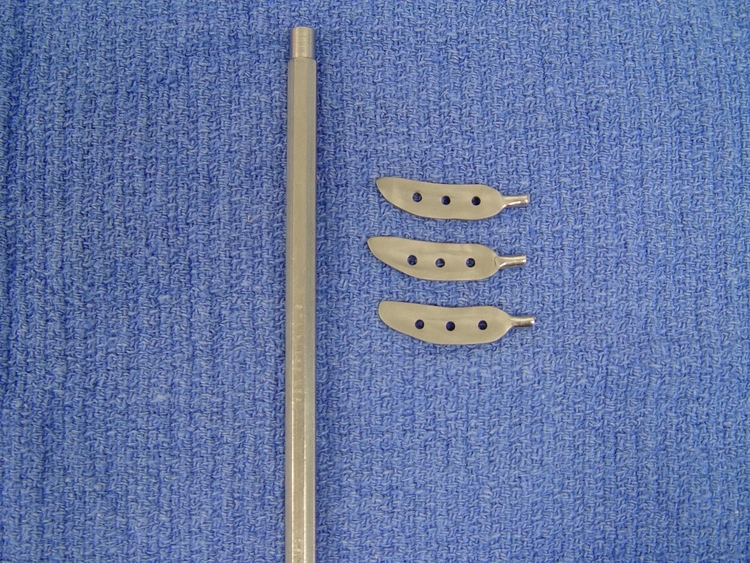 Measurements are taken to approximate the length and width of the implant to be used. 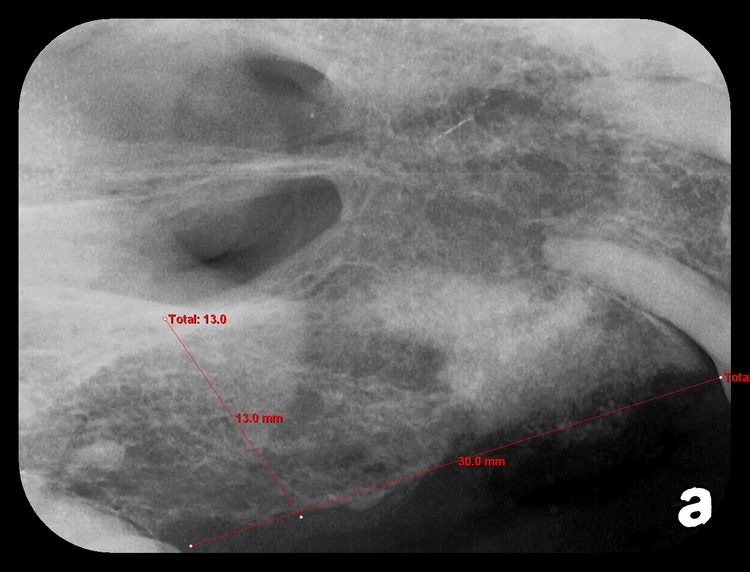 Also, the radiographs will map out the position of the maxillary sinus and/or the mandibular canal to avoid damage to these vital areas. T he surgical field is exposed and sequence drilling begins with a small pilot drill and a gradual increase in drill size until the appropriate osteotomy width and depth is attained. 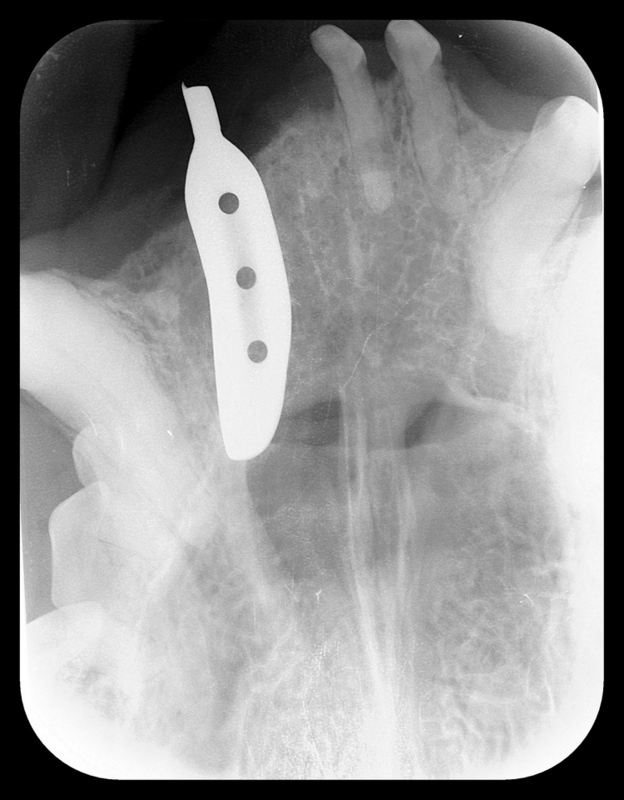 T he proper endosseous implant is inserted into the site very slowly with the proper amount of torque as not to damage the implant or the osteotomy site.